Gold prices have been falling. 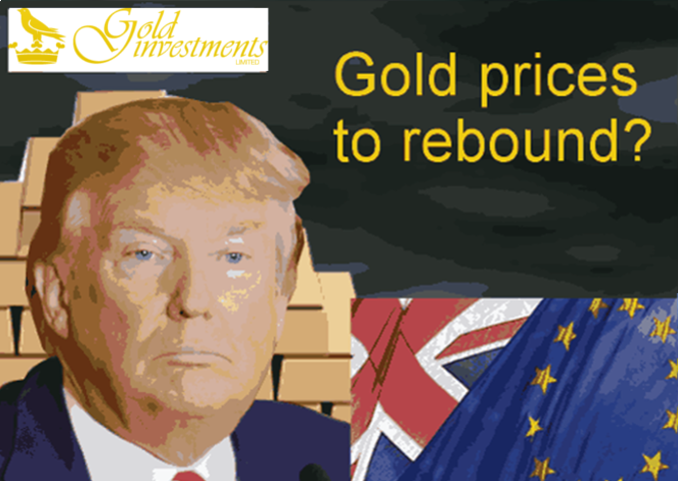 On Monday this week they dropped to their lowest levels in 10 months, despite the recent instability from Italy’s constitutional referendum, writes Senior Bullion Dealer at Gold Investments, Oliver Temple. Some investors may now be feeling that the precious metal has lost its shine altogether. Generally gold performed well in 2016 with demand particularly increasing following the UK’s decision to leave the EU. There was also a surge in gold buying immediately after Trump’s win. Now US 10-year yields are higher and real interest rates have become more positive. It means that gold has become less attractive for some; investors can earn a return on cash elsewhere. Yet investors may be missing a good opportunity for purchasing gold. Gold, as we always advise, should be viewed more as a medium-to-long-term investment. It’s more like an insurance policy. Fundamentally, nothing major has changed to cause new global economic wobbles. Obama is still the US president and the UK is still part of the EU. In fact, the UK’s own economy seems to be, on the surface, fairing pretty well. "The economy has been growing since 2010 but during this time high rents, low wages and cuts to working-age benefits mean that many families, including working households, have actually seen their risk of poverty grow." The picture may become bleaker in the New Year when Trump becomes the 45th US president. Investors will be watching closely as to what he will do and the impact his election could have. This could have a bearing on the UK’s own economy and to the just about managing British families. We still not know what the impact will be when Article 50 is formally triggered for the UK to leave the EU. Many banks are also talking about introducing negative interest rates. Savers will have to pay to keep their money in accounts which may mean that investors look at other ways of protecting and growing their portfolios. Those who include gold as part of their portfolios could be making a wise decision indeed for whatever economic headwinds are coming this way. To discuss your investment portfolio, including for SIPPs, get in touch with Oliver and the team today. Images credits: Michael Vadon and Government Open Licence.